It’s not an April Fool! We’re offering you a great 3 for 2 carpet cleaning offer throughout April and May 2016. 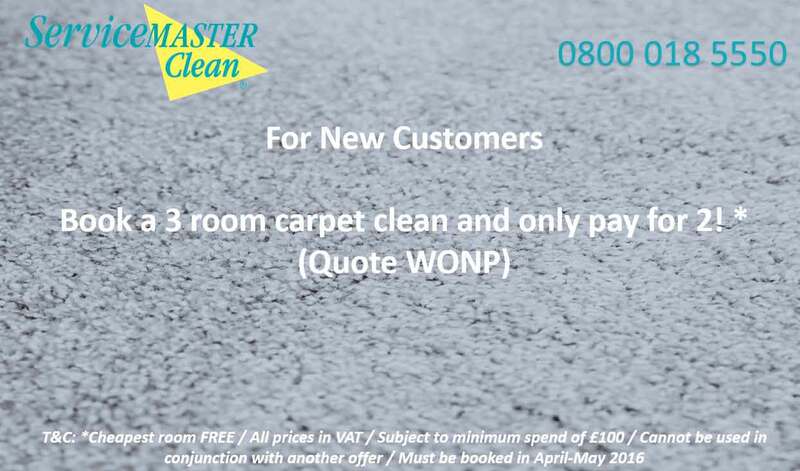 To take advantage of this offer just call us on 0800 018 5550 or contact us quoting the WONP offer code. This is ideal for giving your carpets a fresh look and feel.